You are here: Home / Nutrition / Herbs & Spices / Do You Know These 6 Health Benefits & Uses for Rosemary Essential Oil? Do You Know These 6 Health Benefits & Uses for Rosemary Essential Oil? You’ve likely used rosemary (Rosmarinus officinalis) in your own kitchen (or tasted it in a restaurant meal if you don’t cook). After all it is one of the most commonly used herbs worldwide for cooking. 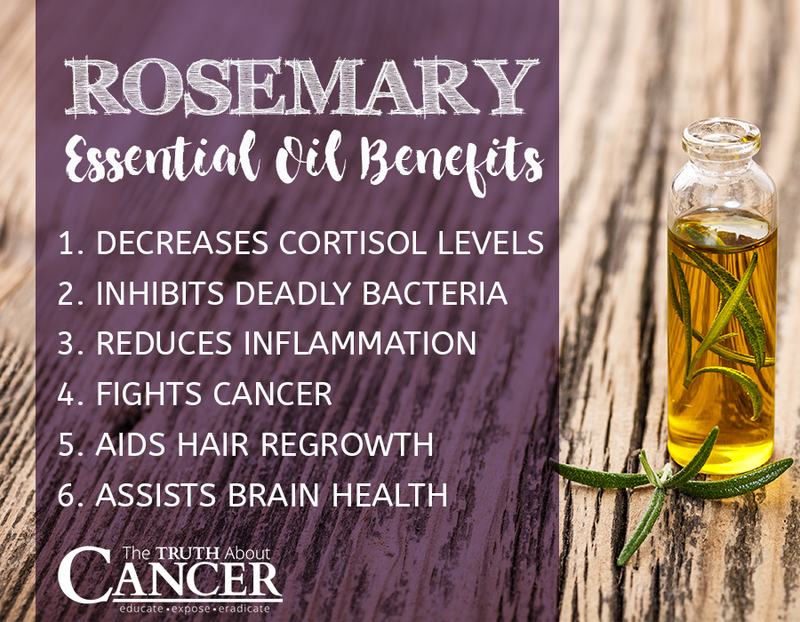 But did you know that rosemary essential oil is considered one of the most powerful essential oils in the world with a multitude of health-promoting benefits? Rosemary has shown to be hepatoprotective (protective to the liver), and to have anti-diabetic, anti-microbial, anti-inflammatory, antioxidant and anticancer properties. The name rosemary comes from the Latin words “Ros” meaning dew or mist, and “marinus” meaning sea. Wild rosemary often grows on the sea cliffs in Spain, France, Greece, and Italy. Together with lavender, basil, oregano, and a few other herbs, it is part of the mint family. While you may have a small pot of rosemary on your windowsill, it is a perennial bush that outside can grow to be five feet high. Rosemary grows best in temperate climates where the temperature doesn’t dip below zero degrees Fahrenheit (-17 degrees Celsius). Long considered to be advantageous for memory improvement, ancient Greek students wore garlands of rosemary on their heads when studying. The Greeks and Romans used rosemary as a part of almost all festivals and feasts − it was a reminder of the cycle of life and death. Charlemagne, who ruled a wide area of Western Europe from 768-814, thought so highly of rosemary that he ordered it to be grown on his farms. Hildegard of Bingen (1098-1179), German abbess, musician, herbalist, and healer (among other accomplishments) wrote several medical texts describing the action of various herbs. Rosemary is amongst those she studied and wrote about. Rosemary was used in traditional Turkish folk medicine to treat hyperglycemia and indeed, modern research is finding that it may have applications for diabetes. During the time when the Black Death (bubonic plague) raged in the mid-1300s, branches of rosemary were scattered on the floors and doorways of homes to help ward off the disease. Rosemary was also part of something called “Marseilles Vinegar” or “Four Thieves Vinegar.” This was used by thieves and grave robbers to protect themselves against the plague as they went about the grisly but lucrative business of robbing the dead. Rosemary was often used as a disinfectant to kill germs in the 16th century, although people of that time didn’t understand the concept of germs. They just knew that if rosemary was burned in the sickroom or applied as a balm or an oil to a sick person, they tended to get better quickly. Paracelsus, a notable physician, philosopher, and herbalist in the 16th century, considered rosemary an essential component in his medicines. Have you ever been to a funeral and someone handed you a sprig of rosemary to wear? This is a long-held tradition which is meant to indicate that the loved one who has passed will not be forgotten. It dates back to ancient Roman and Greek times when rosemary was tossed into the grave as a sign of remembrance. Rosemary essential oil contains some very potent phytochemicals (natural, plant based chemicals) which are steam distilled from the needle-like leaves of the plant. 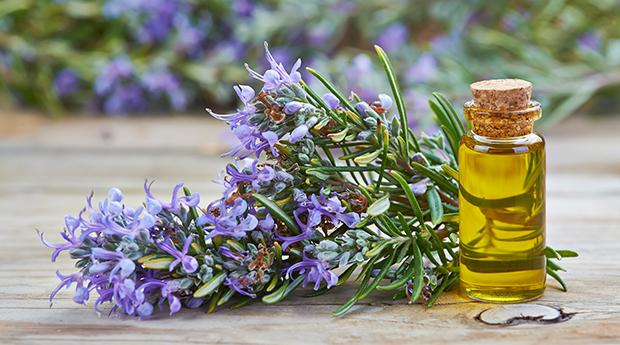 It takes 100 pounds (45.3 kg) of rosemary to yield one pound (453 grams) of essential oil. Somewhere between 400-500 phytochemicals have been found in rosemary essential oil, making it an exceptional source of different bioactive compounds. The major constituents are 1,8-Cineole, camphor, alpha-pinene, beta-pinene, camphene, borneol, betulinic acid, limonene, carnosic acid, carnosol, rosmanol, and rosmarinic acid. While these names might not sound like much, each one translates into potential benefits for your health. 2. Inhibits Deadly Bacteria. Rosemary has long been used to improve skin by fighting bacteria and by cell renewal. A 2016 study done by Egyptian researchers appearing in Journal of Photochemistry and Photobiology found that rosemary essential oil was able to significantly inhibit Pseudomonas aeruginosa. This is a gram-negative, multi-drug resistant pathogen associated with serious illnesses like ventilator-associated pneumonia and other sepsis conditions. Also, a 2015 study done by Brazilian researchers, released in Frontiers in Microbiolog found that both rosemary and oregano essential oils had strong antimicrobial activity against Staphylococcus aureus. This is another deadly bacterium, better known as golden staph, also considered to be multi-drug resistant. 6. Assists Brain Health. Rosemary has long been revered for its ability to help overcome mental fatigue, improving mental clarity and focus. Now, Japanese researchers have shown that rosemary can do more than that. The research, published in 2015 in Neuroscience Research stated that carnosic acid (one of rosemary’s phytochemicals) has neuroprotective functions in brain cells. They said carnosic acid “served as an activator for neuroprotective and neurotrophic functions in brain cells.” They also stated it may be helpful in the prevention of Alzheimer’s Disease. It’s important to be aware that the quality of essential oils varies widely among manufacturers. Thus, it requires you to discover whether the supplier of the brand of essential oil you wish to use employs organic growing methods, knows how to properly distill the oils, and does not use toxic chemicals to create their oils. You can’t just read the labels and assume that “100 percent pure” means that the oil is medicinal grade. Make sure to ask questions. Buy your oils from a reputable source because otherwise they could be adulterated with toxic chemicals. Rosemary essential oil may elevate blood pressure so it should be avoided if you have high blood pressure. Do not apply essential oils inside ears, anywhere near the eyes, or other sensitive areas of the body. If you have sensitive skin, dilute rosemary essential oil prior to application using an organic carrier oil such as almond, coconut, jojoba, olive, or hemp. Be cautious when using essential oils with children and in pregnancy. Always heavily dilute essential oils for children and it’s best not to use them with children under age 5 without expert guidance. Some oils should be avoided during pregnancy and when breastfeeding. If you are unsure, please consult an experienced aromatherapist. ” [+] SOURCES AND REFERENCES. & Wallah all the factual proof one needs is listed in perfect detail Where any wise person will seek out the validity or invalidity…..SIMPLE! 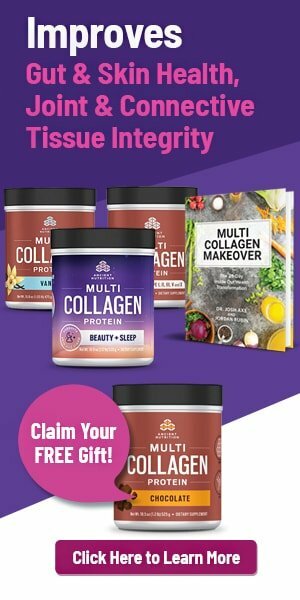 Please look at the Budwig Oil Protein Diet. I have stage 4 prostate cancer and it is helping a lot. Ty I am in my 80th year and survivor of breast cancer now over 4 years. I refused the Tamoxafin and broke down and begged them to stop the radiation half way through but “they” would not and so I am left with a mismatched and deformed breast…..so unnecessary. I had stage 1 with NO lymph node involvement. I send you and your team love and thanks to all from little Port Alfred in South Africa. Hi Sue. You can add a few drops to your conditioner or put a few drops into fractionated oils and gently massage into scalp! ABOUT DOSAGES: This is not chemical medicine where you have to be very careful with dosages or you might die or get sick. Just start using it, even if you are not used to it and don’t know how much is best. I don’t think you can use the essential oil in cooking. Most oils are not for internal use. You could put a few drops in your shampoo. I think wherever you apply it though, it spreads through the whole body within minutes. That was meant for Sue Green. Download the free Print Friendly utility. Works great. This reply was for “MP” (11-16-16, 11:47 am) but it didn’t end up in the right place. Rosemary is a powerful oil and can irritate the skin so should always be used in a carrier oil. 1 drop/ml of oil is a good rule of thumb. Please note that it should not be used with or around anyone with epilepsy as it can induce a seizure. I agree with the others. I appreciate the article, but would greatly benefit from practical suggestions of how to use! I ingest every day for detox .Very high quality EO’s are safe for ingestion. Be sure they are organically grown,distilled properly, ie; steam not chemical, tested, and not full of synthetic additives. Add oils AFTER cooking, just before serving to preserve constituents. Carvone is in toothpaste as well, sometimes via mint oils. The massive problem for this whole essential oil phenomenon, is the same as with olive oil for example. The profits from adulterated extra virgin olive oil were as high as for narcotics with virtually no penalties for the oil adulterators, unlike the narcotics dealers; so they made huge profits from lying to the public. The same goes for essential oils, the corruption of these oils is legendary, with all sorts of cheap synthetic components exchanged for the real thing. The cosmetics and perfume industry is awash with cheap synthetic chemicals. Unless you watch the distiller distilling the oils properly, then get gas chromatography and mass spectrometry readings of an oil, you will never know what you are ingesting or breathing in. Sometimes it will be worse using adulterated oils than not using them. It is a minefield of chemistry, and taxonomy and the words pure and therapeutic are meaningless spin. you won’t get a response they can’t bothered. Also they refuse to post challenging information. You do need to be very careful, essential oils are powerful and caution should be taken, DO NOT use whatever you think is ok! Very good information on Rosemary oil. Thank you for sharing it. I read this article with great excitement and anticipation. Excitement because it is an integral part of my daily “required” treatments and in anticipation because I wasn’t really sure why rosemary works for me. Point 6 is the highlight for me. I suffer from myalgic encephalomyelitis (ME but in the USA commonly referred to as CFS which neglects to acknowledge the severe neurological affect of this disease). In fact, in my debilitated state doctors declared me healthy simply because blood tests said I should be. Thankfully another recovered patient with ME got me on the right track and at the same time the TTAC series aired earlier this year. My cognitive skills were severely affected but I got enough out of the series to support what I was told: go natural. There’s no drugs for ME anyway, it’s not even recognized much (if any) in the USA. So natural was my only option. From the TTAC cancer series I was convinced I had to try Frankincense oil – and later Rosemary. I saw dramatic results but I wasn’t convinced the oils alone can be that good. I’ve either stopped or forgotten a few times to keep up the use, and each time my symptoms came back. I’ve finally accepted that it really does make a difference. In fact, if I’m already in bed at night and I forgot, I’d get up and apply these two oils. I use other oils too but these are the two that I am not willing to miss out on. The intense effects of the ongoing inflammation is almost completely gone. I’ve got my brain function back so much that I’ve been studying online! That is a HUGE thing. I’ve improved in so many ways, I can probably write a book! 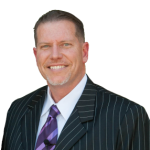 But I just wanted to say, “thank you Ty Bollinger for doing the TTAC series, you have had a direct impact on my recovery with that info – even though my condition is not cancer related, studies showed that I’d be at high risk for cancer and that’s why I decided to watch it”. I am so grateful for everyone who worked to put that series together. And most of all grateful to God for the gifts and solutions He has provided in nature. You do not say where you apply Rosemary, do you put on skin, drink with water? How many drops.